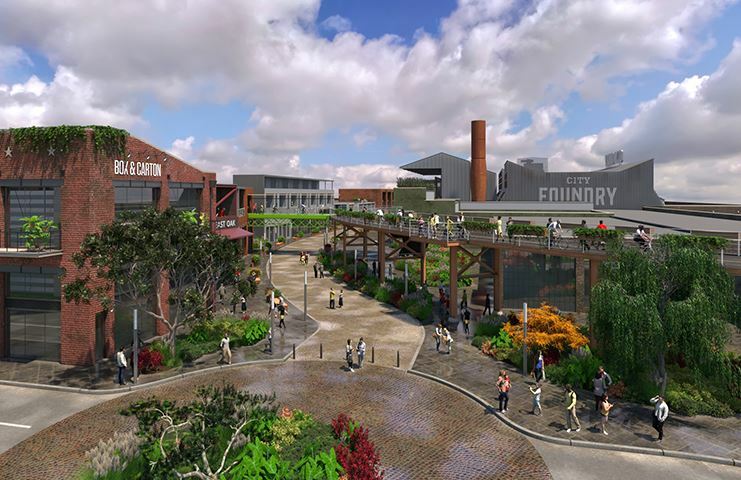 Construction-management firm IMPACT Strategies announced it has been awarded a $12 million contract to build a 51,000-square-foot public safety facility for the City of Edwardsville. The project officially kicked-off at a groundbreaking event held Saturday at the building’s site located at 333 South Main Street. The new facility will be directly adjacent to the new Leon Corlew Park and Splash Pad. 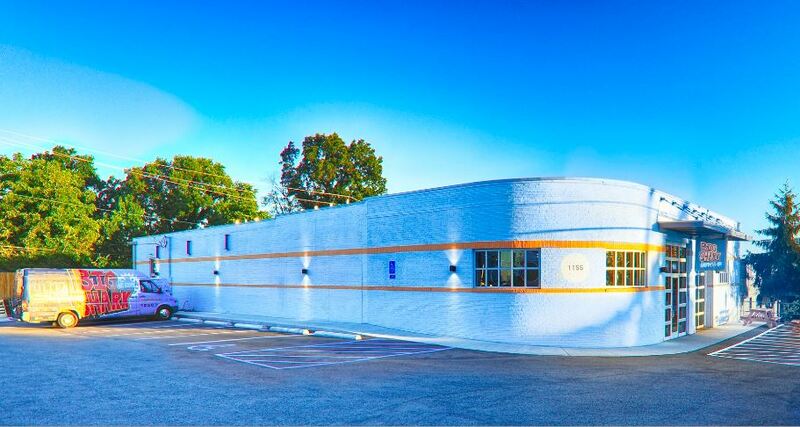 IMPACT Strategies is working collaboratively with FGM Architects in O’Fallon, Illinois. 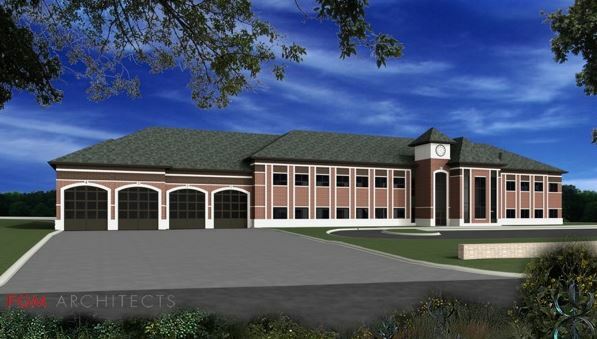 Upon completion in late 2017, the new public safety facility will house the fire department and all law enforcement offices, including detention cells and evidence storage. The City’s decision to co-locate police and fire services under one roof was done in an effort to save tax payer dollars while at the same time providing greater convenience for the departments. 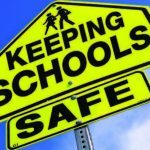 The public safety building isn’t IMPACT Strategies first in the area. 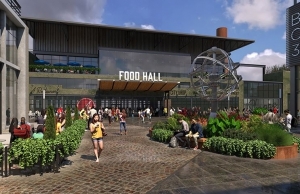 The company constructed several notable developments around town, including the Enclave and Enclave West student housing community, and Park Plaza, home to popular destinations such as Bin 51, Global Brew and Wasabi Sushi Bar. The company last year completed the renovation of 300 Main Apartments located across the street from the new public building site. 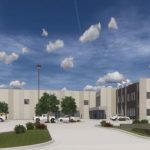 IMPACT Strategies begins this latest Edwardsville project on the heels of completing the construction of a new police department headquarters for the City of Belleville. More than 42 tons of heating, ventilating and air conditioning HVAC equipment were lifted and moved by air crane helicopter when Integrated Facility Services (IFS) recently replaced the HVAC rooftop units at Mid Rivers Mall in St. Peters, Missouri. 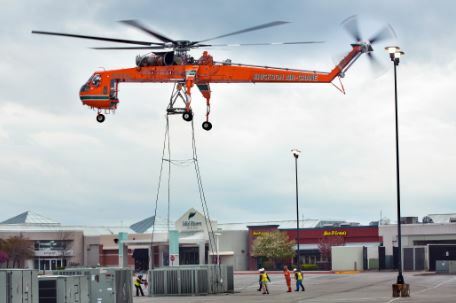 The four-hour project on a Sunday morning involved 16 helicopter lifts to remove four existing HVAC units (two units had to be cut into two pieces due to their weight); four curb adaptors for placement of the units; and replace with four new HVAC units. 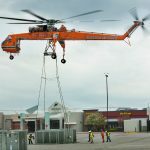 Sixteen IFS employees were on-site along with employees of Erickson, the air crane operator, and Budrovich, the rigging agent. 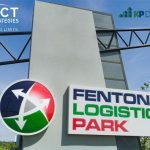 The new units provide more than 280 tons of refrigeration capacity, increase efficiency and improve fresh air ventilation, resulting in better comfort and a healthier indoor environment for the thousands of employees and shoppers who visit the popular mall. Schwaller and Errante conducted an extensive inspection prior to the helicopter lift to ensure complete safety. 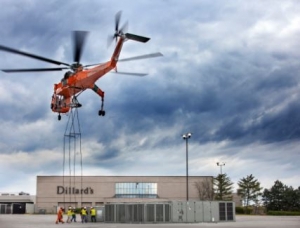 An area within 200’ of the helicopter lift was cleared of all loose debris, trashcans, antennas, small air conditioning compressors, restaurant patio furniture and other materials that could become flying debris hazards in the 70 MPH downwash created by the helicopter rotors. Entrances to the mall were locked so that no tenants or shoppers would be in the Macy’s building where the units were being set. A 150’ “sterile” area was established and maintained throughout the flight activity, and only workers essential to the project were allowed on-site. The team monitored weather conditions during the week leading up to the helicopter lift, since strong, sustained winds over 35 mph or lightening would delay or cancel the project. Despite rain, threatening skies and up to 25 mph winds, the project was completed on time with no injuries or incidents. 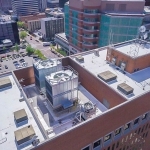 Integrated Facility Services (IFS), formerly Air Masters Corporation, is a full-service HVAC, plumbing, piping, fire protection and building automation firm with more than 220 professional and trade employees. LCPcertified Basic is for the smaller companies that simply need to produce certified payroll reports, one state at a time. LCPcertified’s validation engine checks for prevailing wage compliance specific to State wage determinations. LCPcertified Plus is for the small to mid-sized market space. In addition to the features of the LCPcertified Basic package, LCPcertified Plus gives users the ability to enter in their own prevailing wage rates and keep track of them in one complete system. LCPcertified Plus also offers a complete list of validations that include data completeness, State wage rate validations, and a rate sheet feature that assists with managing Federal wage rate compliance. 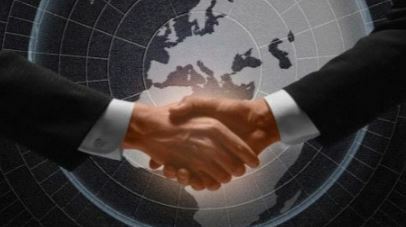 LCPcertified Professional is dedicated to the larger company market space. 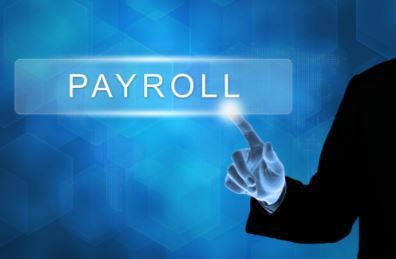 In addition to the features of the LCPcertified Plus package, LCPcertified Professional offers a powerful bulk-processing feature that allows for the quick and easy production of hundreds of certified payroll reports, all at the click of a button. 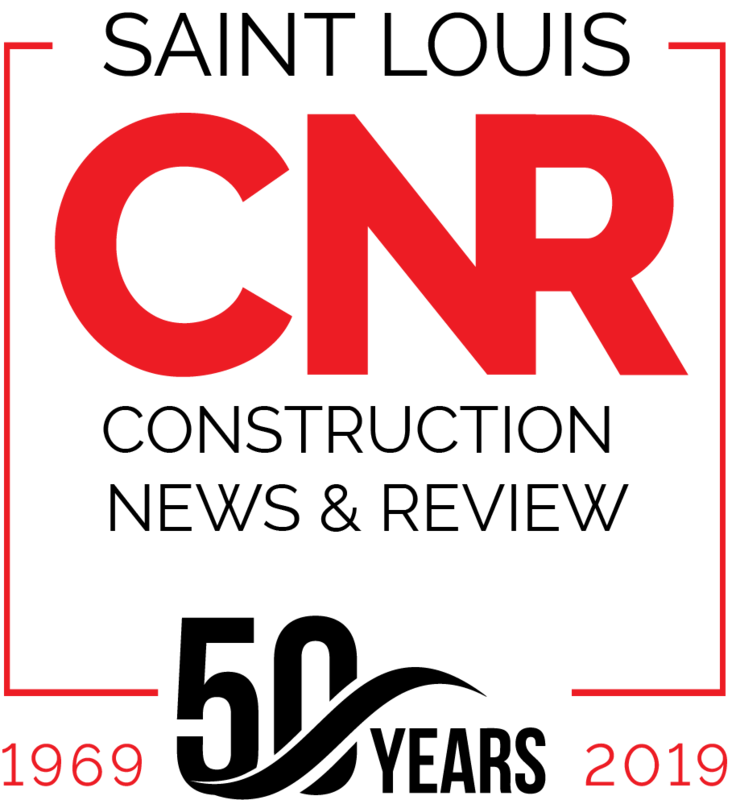 LCPcertified Professional has an auto-distribution feature that allows a contractor to email the CPRs to requesting agencies directly through the system. LCPcertified Professional also provides summary and monthly reports specific to public works requirements such as workforce utilization reports, EEO reports, and ROCIP reporting. 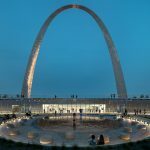 Construction-management firm IMPACT Strategies, Inc., has surpassed the half-way point in building the St. Louis-Belleville Hofbrauhaus, the largest single themed destination restaurant in the region. 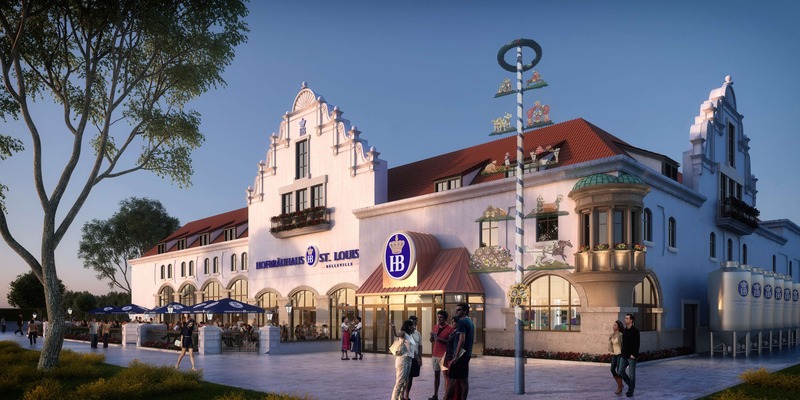 “The Hofbrauhaus will have the look and feel of old world Germany,” according to IMPACT President Mark Hinrichs. “The architecture is unique, and includes high vaulted ceilings. 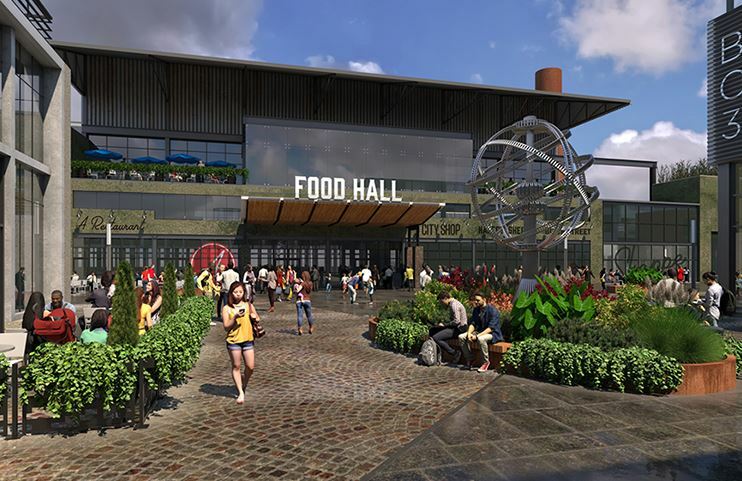 The look, the attention to detail that the developers are requesting, and the general atmosphere to be created will help assure that Hofbrauhaus becomes a popular destination for adults throughout the region and beyond,” he said. 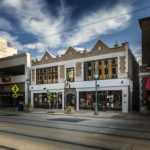 IMPACT Strategies, Inc., specializes in retail, commercial, medical, senior housing and education construction and offers comprehensive construction services including design-build, general contracting, construction management and pre-construction management. 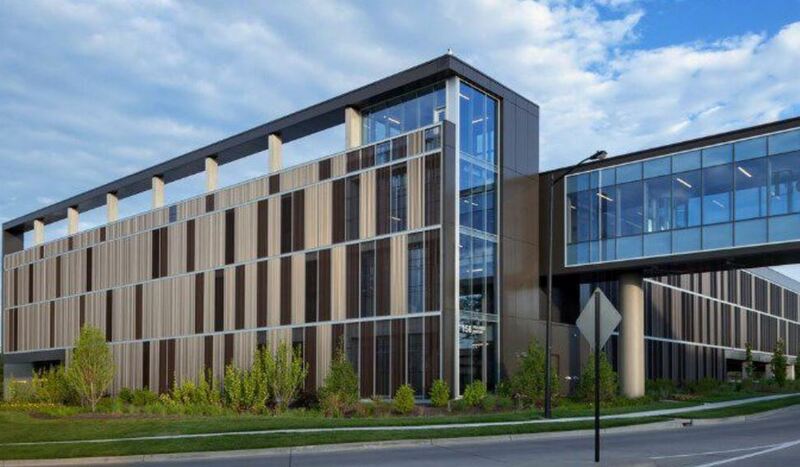 IWR North America, formerly IWR Building Systems, partnered with Troco Custom Fabricators to design and install unique, high-end louvers on the new Edwards Jones parking garage in Maryland Heights. The stationary louvers, or “cassettes,” provide a flowing, kinetic look due to the slightly different angles and bronze colors of each slat. Each panel changes in transparency as you move along the screen, appearing to visually move while remaining in a fixed position. 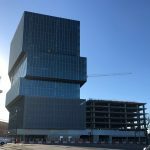 These types of cassettes can be adapted to most any parking garage providing a new and more artistic look to a normally drab parking garage structure. Prefabrication in Troco’s shop allowed IWR to install numerous cassettes in a very short time. 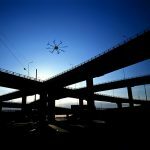 When design works hand-in-hand with installation, maximum cost efficiency is recognized, resulting in reduced labor costs to benefit the contractor and the client. 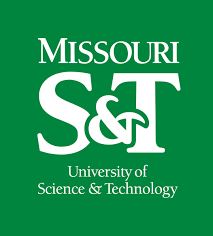 The new 450-bed University Commons residence hall at Missouri University of Science and Technology (Missouri S&T) in Rolla, Mo., is ready for students to move in this fall. 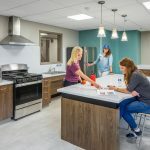 McCarthy Building Companies, Inc. and its partners completed the 125,000-square-foot residence hall in about half the time as a typical project of this scope by using efficient construction methods and materials. 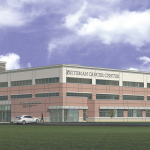 The design-build project integrates a prefabricated panel system fabricated by Eisen Panel Group in St. Charles, Mo., and transported to the campus. These specialized panels are designed for immediate weather-proof capabilities with the added benefit of quick assembly. Made of cold-formed steel, the pre-assembled panels could be installed much quicker than conventional building materials, allowing for complete enclosure of the building to reduce water infiltration and the potential for mold and mildew. “Through collaborative teamwork and strategic planning, we were able to complete this project quickly and safely, and we’re eager for students to experience this terrific new facility,” said Jeremy Witts, McCarthy project manager. 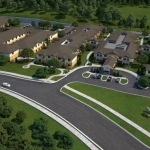 KWK Architects and The Lawrence Group collaborated on the design of the project.